Would you like to learn more about Kent’s historical architecture? 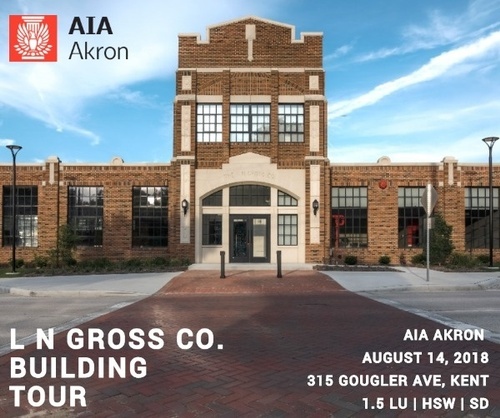 If so, The Akron Chapter of The American Institute of Architects invites you to join us on an tour of the newly remodeled LN Gross Co. Building, now home to DS Architecture. Led by KSU adjunct instructor and Director of Design at DS Architecture, Eric Pros will discuss the successes and challenges of designing within a 1928 building. Join us on August 14th from 5-6:30 for a tour and backyard barbeque and learn more about this local landmark.